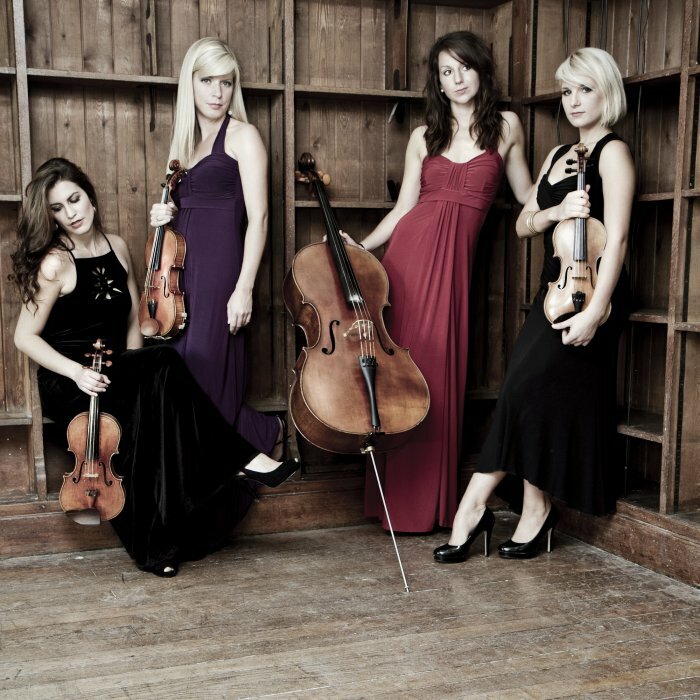 Comprised of highly skilled and experienced professional musicians London based Maestoso Strings Quartet, Trio and Duo are guaranteed to compliment any event and add a touch of class. 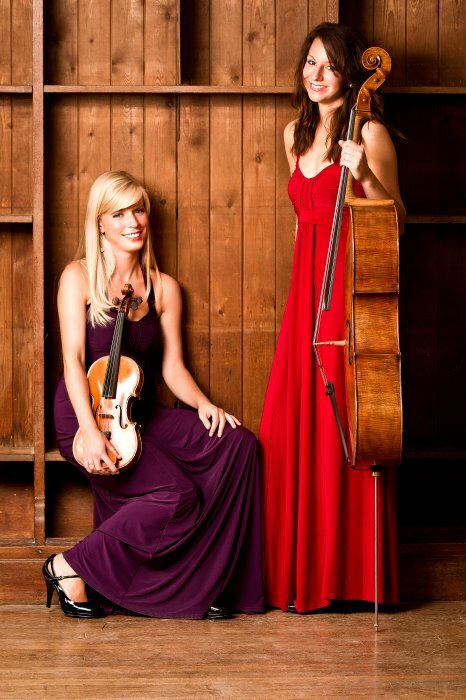 They specialise in providing musicians of the highest caliber for weddings, corporate events and session work and pride themselves on their presentation and providing a friendly, tailor made service. All the musicians have professionally trained to the highest level and are graduates of London’s most prestigious music colleges. As a group and as individuals they have already achieved great things; they have recorded at Abbey Road Studios, collaborated with numerous pop and jazz artists and performed in many of the most prominent venues across the UK and internationally. 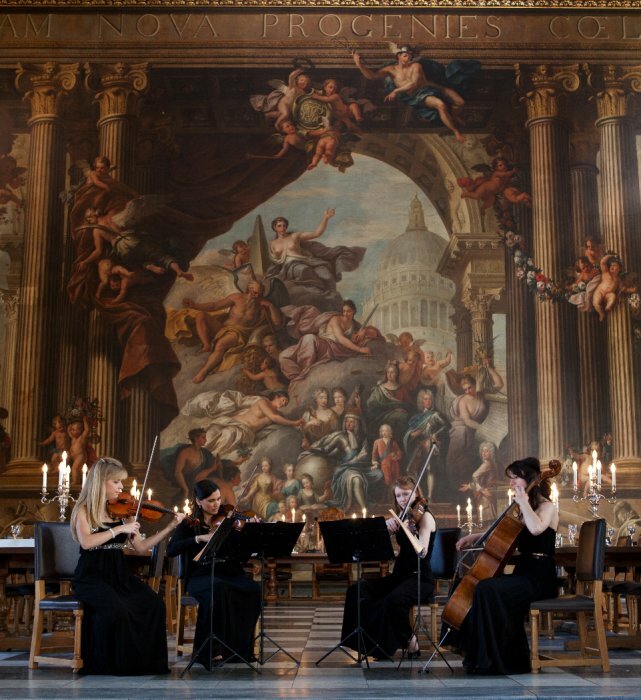 They are also experienced at providing background music for events ranging from parties for Vivienne Westwood in the Wallace Collection to drinks reception for MP's in the Houses of Parliament and from intimate weddings to grand celebrations in venues such as Grosvenor House Park Lane, The Old Royal Naval College, Chiswick House, The Queens House and Hampton Court Palace. Maestoso Strings have already had a varied and exciting performing career. They have performed on stage in front of HRH The Prince of Wales in Westminster Cathedral and have also been on stage with renowned artists such as Michael Buble, Katherine Jenkins, Leona Lewis, Alfie Boe, Olly Murs, Il Divo, Nicole Scherzinger, David Garrett and John Cale. They regularly make appearances on programmes such as The Jonathan Ross Show, Strictly Come Dancing, The Royal Variety Show, ITV’s GMTV, X Factor and Popstar to Operastar, Channel 4 and perform at prestigious events such as The Michael Jackson Memorial Concert, Monte Carlo Television Awards, Man Booker Prize Awards, National Music Awards in London and Love Box Festival. They have performed in numerous significant venues across the country and abroad, such as The Royal Festival Hall, Queen Elizabeth Hall, Wales Millennium Stadium, the 02 and Wembley arena. 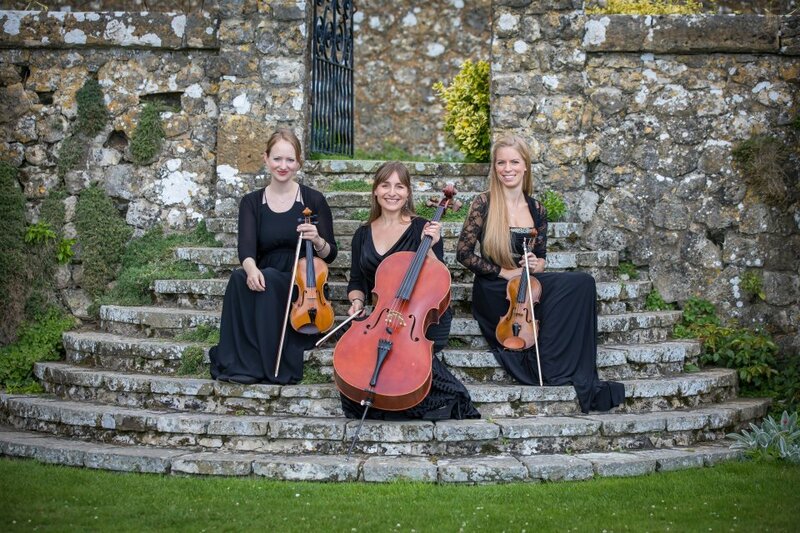 Maestoso Strings have been playing together for many years and are highly experienced at providing music for events in a wide range of styles and genres including classical, folk, jazz and popular music. 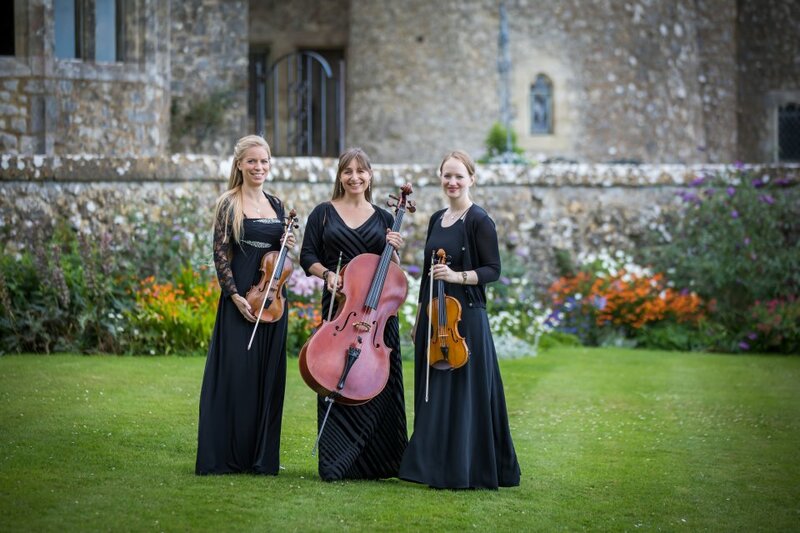 Maestoso Strings provides a friendly, tailor made service that would compliment any occasion. Maestoso Strings were absolutely amazing! We received so many comments on how well they played. Would not hesitate to recommend them. Very professional and the perfect addition to our wedding - thank you!! Excellent quartet. Our guests absolutely loved them. Very professional too. 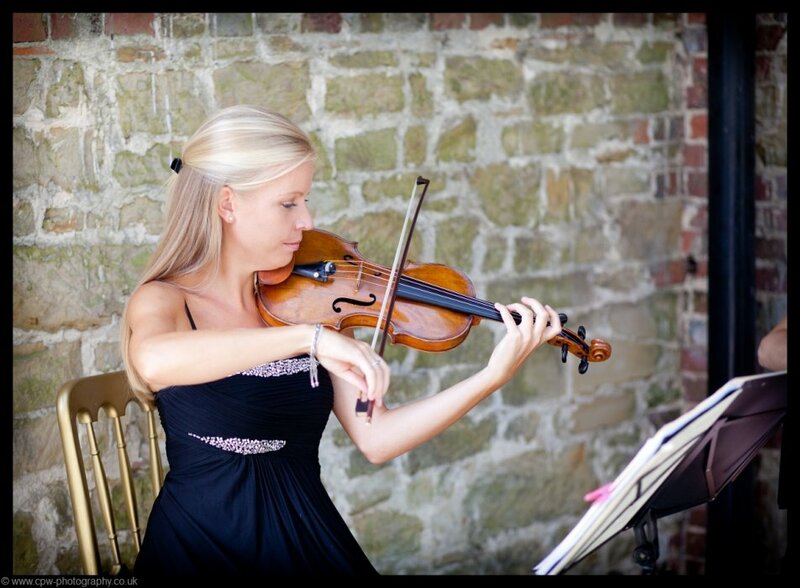 I would like to thank you and Maestoso Strings for providing such beautiful music for our wedding at Chiddingstone Castle. It made the ceremony absolutely perfect. The guests were hugely complementary of your performance and it was so fitting to have you as part of the afternoon tea on the lawn also. Very good presentation and quality of sound and repertoire. Everyone thought they were really good on the day. Fantastic musicians but also very easy to work with on what could have been a stressful day. Added an incredible special feeling to our wedding. Thank you! 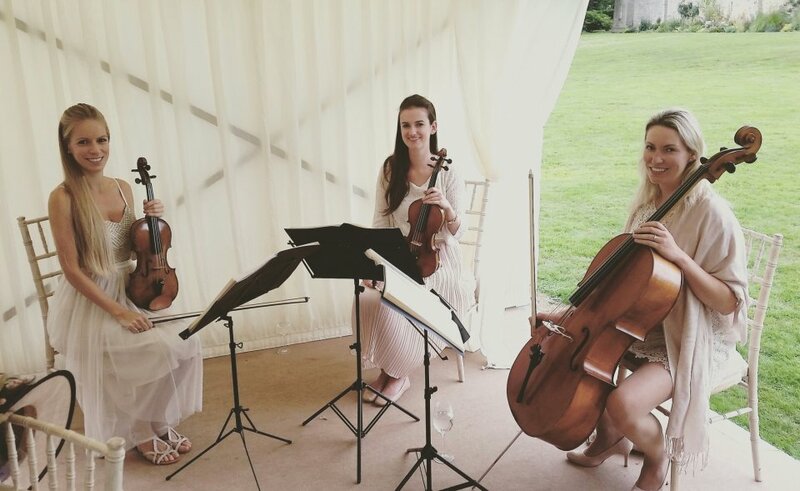 Maestoso Strings were brilliant on our wedding day at The Slaughters Manor House in the Cotswolds! 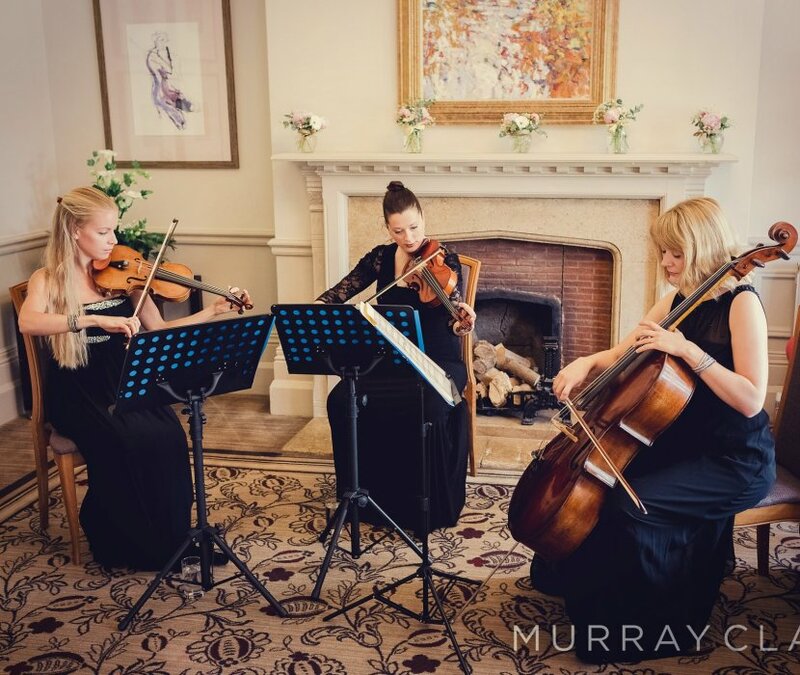 Valtie and the girls put together a great set for our pre-ceremony, ceremony and drinks reception music and our wedding party were all commenting on what a talented quartet they are. I loved the mix of TV and pop/rock songs which added a great modern twist to the day. Valtie was so friendly and made the organisation hassle-free so that we had nothing to worry about on the day. Couldn't recommend Maestoso Strings enough! The whole process worked for me and the quartet was great, thanks. Simply perfect. A lovely addition to a lovely day. The string quartet played everything that had been requested and performed amazingly well for our son and daughter-in-law's wedding breakfast. Heartily recommended. Great act and very professional, thank you. I couldn't recommend Maestoso Strings enough. They were awesome! All our guests were hugely complimentary and they went over and beyond to help on our wedding day. 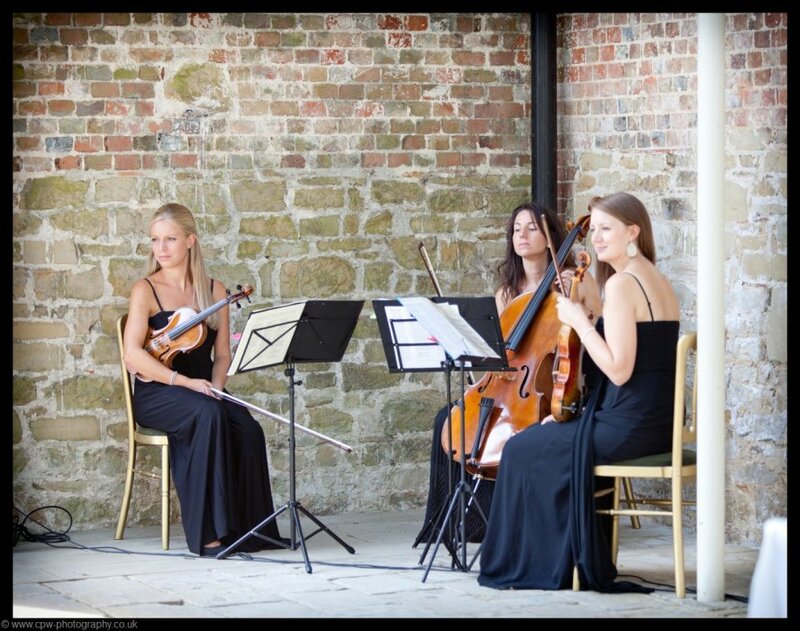 Maestoso Strings are fantastic, they arrived at the Wedding Venue and set up their equipment without us even knowing that they had arrived. They played during our Wedding Ceremony and in a small private chapel sounded great. 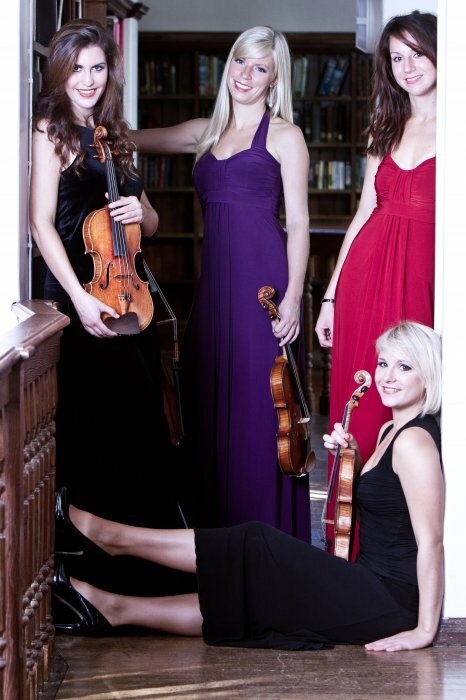 They are amazing musicians, exceptionally professional and lovely well presented young women, I can not recommend them with any higher regard and all of our guests commented on how outstanding they were, stop browsing other artists and book this act immediately, you will not be disappointed. 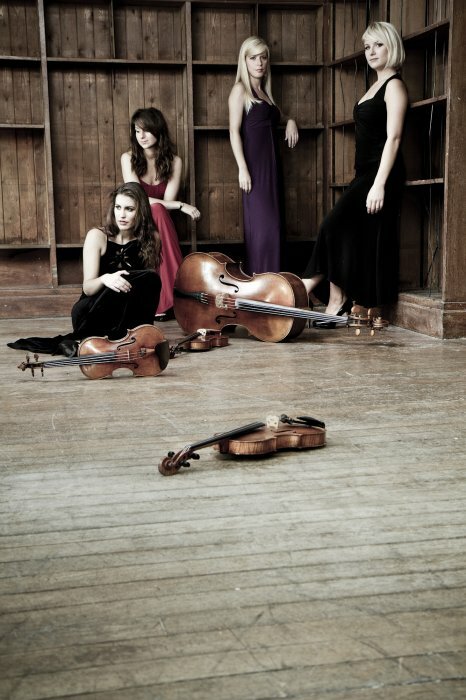 Our fees are a rough guide for a String Quartet. Do contact Warble if you'd like information and a quote for Trio, Duo or Solo. If there's a particular piece of music which you'd love to have do get in touch with Warble as we are adding new music to our repertoire all the time. 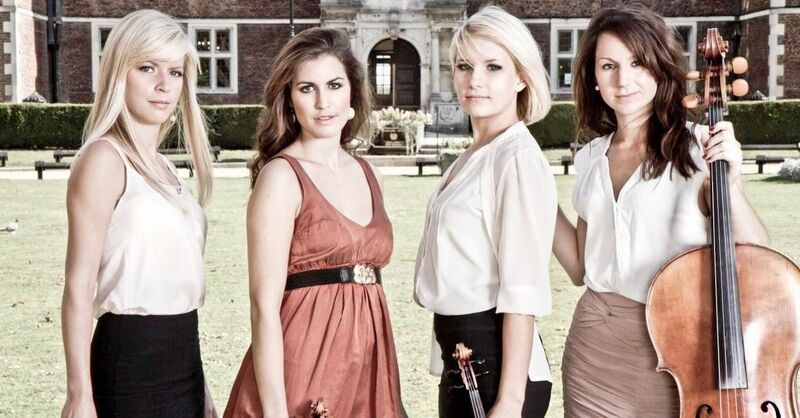 Customers who have enquired for Maestoso Strings have also been interested in the following String Quartets who are also available in London and in the South East of England. For more information or further options, please call 0845 643 9384.